Digital Signage use digital media displays to broadcast information and advertising to viewers that you see in lobbies, along roadsides, at stations and airports. On the other hand, the broadcasters use management software to manage the schedule of programs. Use the software to manage the programs to broadcast a specific time and area of display. Content Manager : NMT management software does no need to install, and it is running on Windows OS. Heart of the digital signage network: to manage your media assets, playlists, content distribution –NMT is a media broadcast distribution, scheduling and management software tool. • Allow the user to set up Client IP address, scheduling contents and update via USB. • Multi-layered templates, images & video files, HTML, HTML5, Flash, Streaming Video. • From Server to Client devices, the programs and schedule tables are need to be updated and sent by either Internet or USB dongle. The marketing should be at Hospital, Transportation Services, Hotels, Theaters, Commercial Banks, and Grocery Stores. With the wide range of Digital Signage applications, our products are easy to set up your LCD screens at any locations. • It supports Multi-Zone, 720P or 1080P. 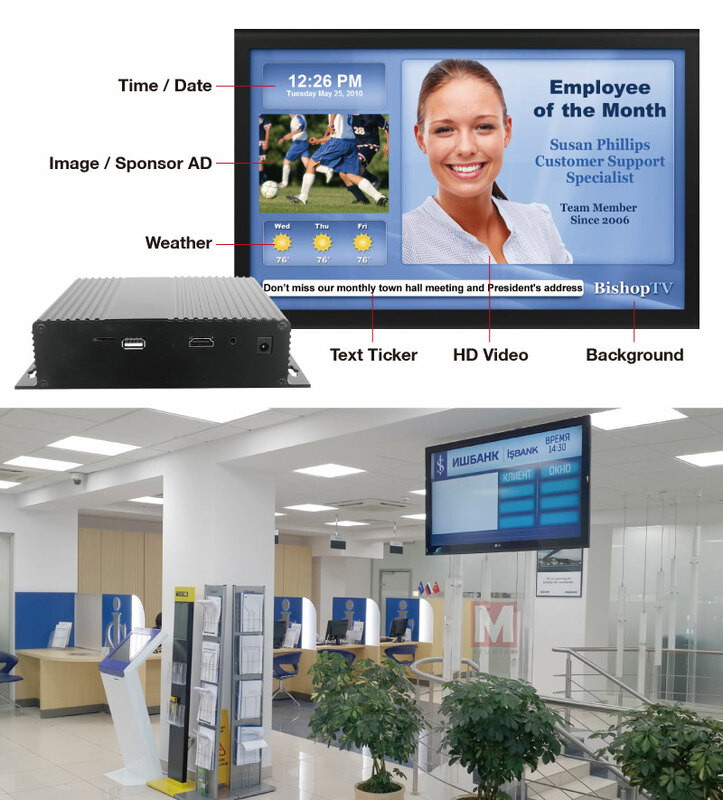 Digital signage software that is capable of directing customers to specific workstations and service locations using LCD monitors and by an automatic announcement . Though the primary function of the system is to improve workflow, maximize throughput and provide a better waiting environment for the customers. How to install NMT tool? A: Just copy and paste from CD ROM to your personal computer. Double click and execute the Tool. How to update player contents? A: There are two ways: thru by LAN or USB. The instruction please follow user guide on the website.